Leyland, September 2015 – Hurstwood has a 5,694 sqft modern industrial premises coming back to the market this October, available to let in Leyland. The unit is situated in Hurstwood Court just off Centurion Way adjacent to the Lancashire Business Park. The property is ideally located for motorway links, just minutes from the M65, M61 and M6 motorway networks. Preston and Chorley are within a 5 mile radius and both Manchester and Liverpool are within easy reach to the South. Hurstwood Court is a well established industrial estate located within one of Lancashire’s most extensive business areas. The estate benefits from a secure framed and gated perimeter with out of hours monitored CCTV, modern hi-tech specification units which include double height roller shutter access. Hurstwood and its sister company Crystal, have commercial and residential property interests in the North West, Midlands and Wales with approximately 500 occupier clients at over 100 locations. Both companies are based in Manchester city centre. For more details on Hurstwood and Crystal’s other properties, visit the website at crystalhurstwood.com. 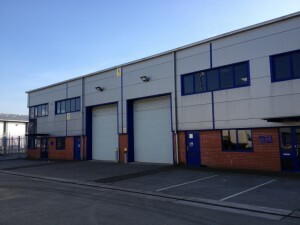 This entry was posted in Blog and tagged commercial unit to rent in leyland, Hurstwood Court, industrial unit to rent in leyland, industrial units to rent in lancashire, lancashire business park, large industrial available in leyland, large industrial leyland, Leyland, leyland industrial to rent, modern unit to rent in leyland, modern workshop to let in leyland, workshop to rent in leyland. Bookmark the permalink.